A space heater is a device for heating an enclosed area, we at KERONE are having veteran team of engineers and designer those continuously strive to provide the best product to client for their process need across the world. 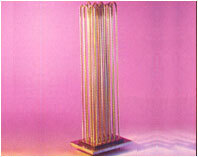 Space Heaters Embedded Elements and Metal Casted Elements offered comprise bundles of heating material that are grouped together for heating any space where the heat transfer can take place through means of conduction, convection or radiation, depending upon operating temperature as well as the method employed. 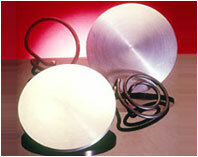 These embedded elements function as heaters embedded in metal/non-metal casing so as to achieve uniform heating. Further, these are also used in hotplates for heating larger surface area as well as to result quicker dissipation of heat. With heat emitted through radiation taking place in different air flow levels, these elements can also be used in ducting as well as hot air batteries. Being available in different operational range of 3 KW to 450 KW and we provide the mechanism to control the heat. Chemicals processing, Fertilizers, Pharmaceutical Industry, Hot water generators, Boilers and other industry sectors.